Pallbearer was formed in Little Rock, Arkansas by college pals Brett Campbell (vocals, guitar) and Joseph D. Rowland (bass, vocals) in 2008. The doom metal group soon expanded to include second guitarist Devin Holt and drummer Mark Lierly, and that final lineup recorded and self-released a three-song demo that led to a record deal with Profound Lore Records in 2011. 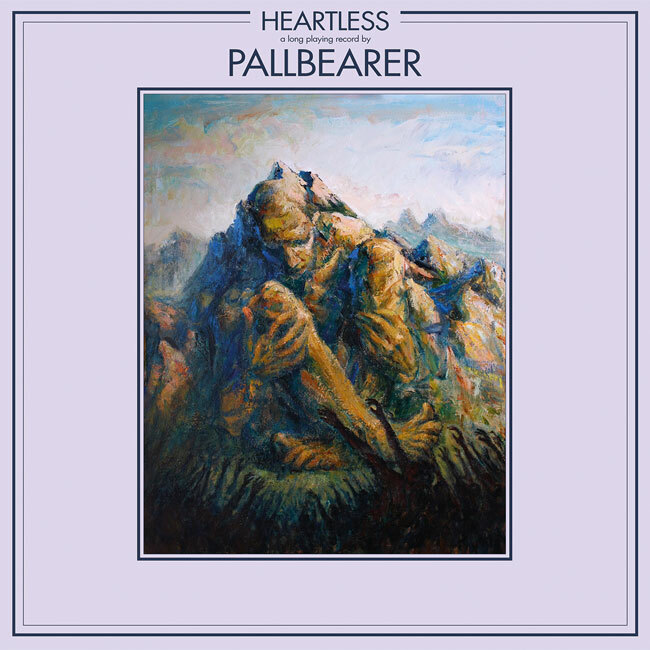 A year later, Pallbearer released their first full-length album, Sorrow and Extinction, which was an immediate critical success and helped the band establish a dedicated fan base that has only continued to grow with the release 2014’s Foundations of Burden and last year’s Heartless. Though now gearing up for a European tour kicking off July 13 in Germany, Pallbearer spent this past spring touring in support of Obituary. I had the opportunity to catch Brett, Joseph, and Devin on a sunny afternoon in Chicago before their soundcheck. A chronological listen of Pallbearer’s discography will illustrate how much the band has managed to evolve sonically over the past decade. Each record is more ambitious than last, while maintaining a sensibility at its core that fans have grown familiar with. I was eager to ask about the ways in which the guys have seen themselves change as a group, and Devin was quick with a simple but fitting response: "We’ve gotten better." Give Heartless a spin (or catch a live show), and you’ll know that they have. The latest record sounds massive, with Brett and Devin’s gritty, melancholic guitars layered over Joseph’s driving bass, all built on top of the solid foundation of Mark’s thunderous drumming. All of the band members mix well and support each other over the entirety of the album, but the second track, "Thorns," is a particularly excellent showcase of their maturity. When not breaking away for virtuosic solos, Devin’s baritone complements Brett’s six-string, bringing extra depth to the mix while Joseph rhythmically fills the pockets with his intricate bass flourishes. Pallbearer - "I Saw The End"
And true not just for this track but across the entire album are Brett’s vocal performances. Despite setting a fairly high bar in this department with Sorrows and Extinction, Brett has continued to steadfastly develop his voice over the past decade and Heartless sees his most confident, controlled, and commanding vocals to date. Brett told me that the band has also become more efficient when it comes to writing music. "It used to take us forever to write songs. Some songs still take a long time, but by and large, we can get a completed piece that we’re happy with a lot more quickly than we used to." In fact, some of the tracks on Heartless were developed out of ideas and riffs that were as many as 10 years old. "Half of ‘Dancing in Madness’ was written along with the Foundations stuff," Brett continued. "Parts of ‘I Saw the End’ were older. We just tried to expand the bits and pieces that we’ve been working on over the years into songs, and there were a lot of new ideas, too." Between developing old ideas and fleshing out new ones, Devin estimates that it took about six months of concentrated writing to complete Heartless, which seems reasonable when you consider that it’s an album with only one track that dips under six minutes long. I asked about their writing process—how much, if any, takes place in the studio—and learned from Joseph that the majority of the songs are written before the group walks through the studio doors. "We’re meticulous about having [our material] ready before going into the studio," Joseph told me, with Devin adding that at least 95 percent of each song is finished before they start recording. The extra five percent of wiggle room is reserved for additional details and partially improvising some of the shreddier solos. In studio, the band starts with the foundational drum track and builds each song up from there, adding layer by layer and perfecting each part, which takes weeks. To record 2014’s Foundations of Burden, the band traveled all the way to an old factory-turned-studio in Portland, Oregon, and spent all of February there—even sleeping on the floor most nights. "We couldn’t get a hotel every night for five weeks, so we just slept in that studio on the floor. There were no showers, it was pretty…" Brett remembered, trailing off with a shudder. "It felt like we were living in some kind of post-apocalyptic world," Devin continued. "Everything outside was industrial, and we often woke up in the morning to this incredible booming happening outside—like waking up in a Godflesh song," he laughed. "There were a couple of times when the computer messed up and we lost multiple, 8-hour-long days of recording. Things got psychedelic... in a bad way." 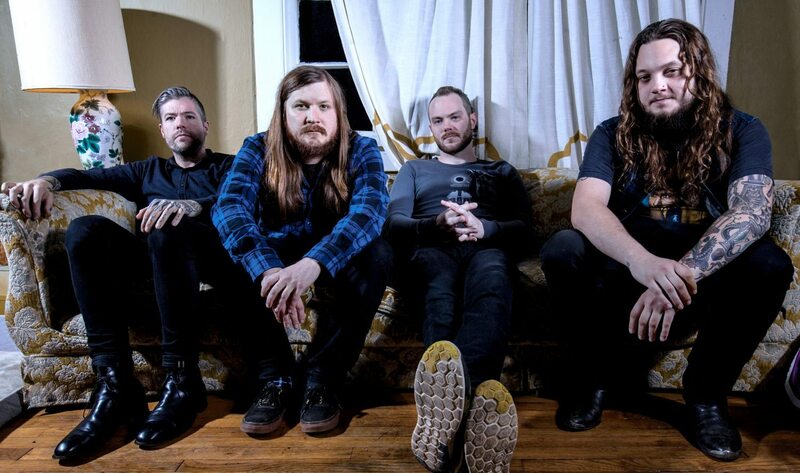 In an effort to improve upon this experience, Pallbearer set out to record Heartless at Jason Weinheimer’s Fellowship Hall Sound studio in their hometown of Little Rock, Arkansas, where they also worked with engineer Zach Reeves. After that, the tracks were mastered by Grammy Award-winning engineer Dave Collins, known for his work with bands like Queens of the Stone Age, Bruce Springsteen, Metallica, and Sting. 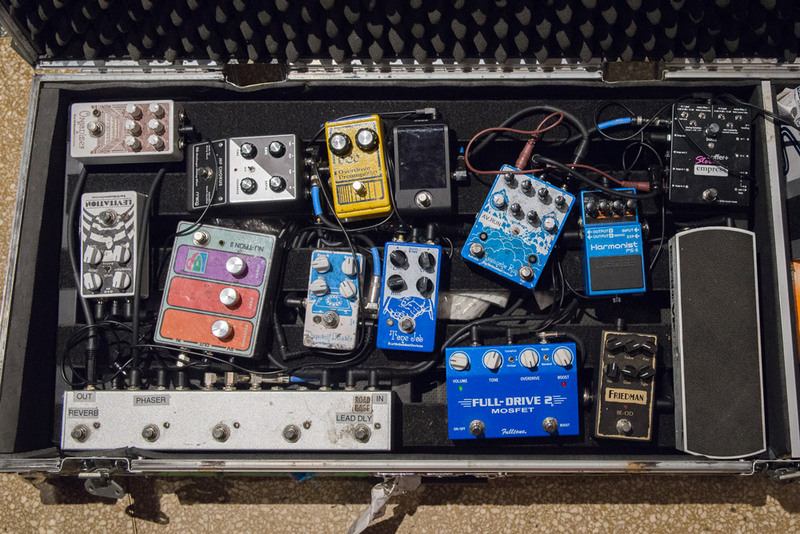 Peeking at their pedalboards, I asked how similar the band’s live rigs are to what they recorded with. 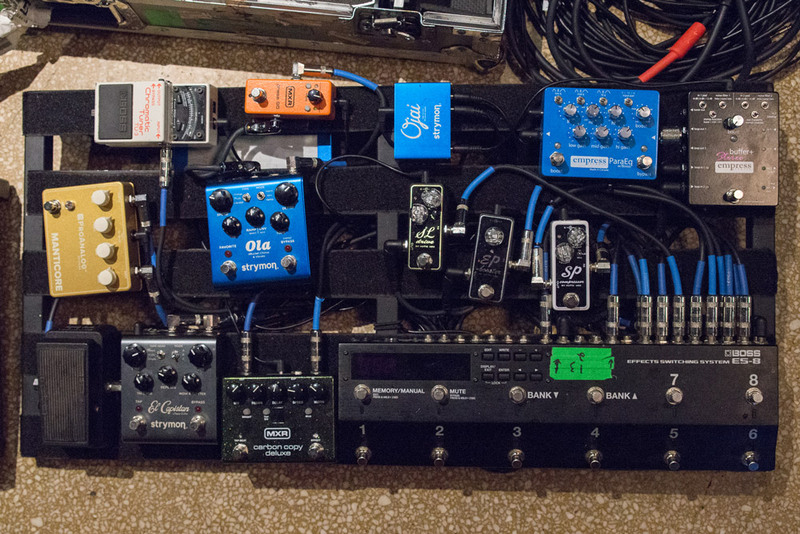 While normally pretty consistent, these boards were (in Joseph’s words) "geared to crush, rather than being the more expansive, articulate setups" that they’re more likely to put together for headlining. "We’re doing a heavier set than we normally do for headlining stuff, so this [setup] is at aimed at making that work. You have less time to spend with your pedals when you’re direct support, so I took all of my MIDI pedals off. 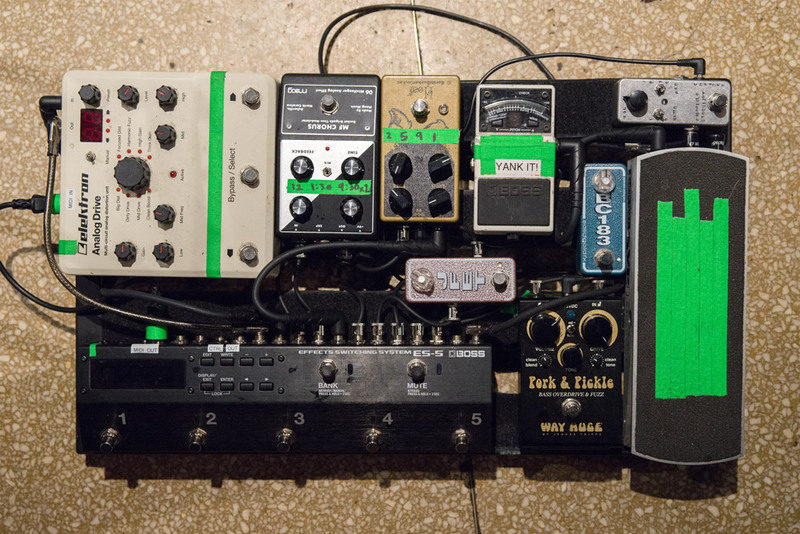 A lot of these are practical, one-knob pedals that are easy to bypass if something goes wrong." I asked the band about their brand new track "Dropout" (released by Adult Swim in April), hoping for news of more music coming soon. And although that track was just a delectable one-off, Joseph assured me that the guys have lots of irons currently in the fire. To check out Pallbearer’s tour dates or listen to more of their music, you can check out their website here.